Jingle bells, jingle bells… yes, Christmas time is coming closer. For most shoppers it means searching for gifts they eventually will buy in the last possible moment. For you, it means more inquiries and more sales – if you only handle heavy traffic on your website and manage to send all gifts a day before Christmas Day. Relax, there’s still plenty of time to prepare everything. Here’s what you can do step by step to prepare your online store and your employees for this busy time. For your ecommerce store, sales is the most important part of the holiday season, so you need to think some things through. First, consider the ways customers can order from your store. Some stores offer more liberal policies when it comes to ordering and returning items during holiday shopping season. For example Target, the second–largest discount retailer in the United States, offered free shipping on online orders last holiday season for the second year. The retailer didn’t require a minimum order to qualify for free shipping and that policy resulted in a 3% increase in a average order size, according to a report by ecommerce analytics provider Slice Intelligence. There are also other ways you can increase sales during the holiday shopping season. You need to minimize the obstacles making people hesitate to buy from you. One of these things is the return policy. Consider more liberal return time and exchange policy. Many people buy presents they would like to get, not the person they buy it for. I guess they didn’t read our article about how we can be better gift givers. Loop research and data from its network of retailers found that one in four gift shoppers cited worrying about the hassle of returns as the most common reasons they hesitate to buy gifts online. To overcome this purchase decision barrier, provide hassle free exchanges to make it easy for customers to purchase without worrying about the exchange process. It seems like liberating an exchange policy might be the right move. Holiday shopping season is a great time to consider additional payment options for your ecommerce store. Let’s say you traditionally accept Visa and MasterCard, do you think your store would benefit from maybe adding PayPal as a third option? There are many customers who prefer this kind of payment method. It’s nice and profitable to meet their expectation. This small change could lead to a nice boost in your conversion rate. During holiday season, not only your website traffic raises but customer inquiries as well. Before customers decide to buy, they have questions related to the products, payment or shipping. After the purchase, they come back sometimes to ask about their order. It means more inquiries for live chat agents. One way to help customer service reps with the increased traffic is to lower the number of questions customers have, by letting them help themselves. Check out your FAQ’s website. Did you do any updates recently? Is it still relevant or maybe some things have changed? Having an up to date FAQ serves as a great resource for customers’ concerns. It can solve their issues without involving a customer service rep.
During busy holiday season, live chat agents need to solve more of customers issues and this solution saves time and helps them being more effective. Some customers begin to look for Christmas presents long before the season, but it doesn’t mean they buy them. It means they save their favourite items, come back to your website and compare your product with others before they decide to buy. That’s why I wouldn’t recommend to do any significant navigation changes on your website during this time. It can disrupt your customers shopping flow and cause bad user experience, which potentially lose you some sales. The most important thing is to have CDN enabled. It will offload your servers and let them do their job efficiently. You should also make sure the server itself is powerful enough. In cloud, increasing their power is a matter of few clicks to use bigger hosts. Ideally, you could use a mechanism called auto–scaling to automatically scale your system and never worry again. In fact there is much, much more to it and the best way to ensure stability and availability of your website is to use a professional hosting service. It’s your business we’re talking about. A recent survey of over 3,000 online retailers by performance marketing firm Criteo said that 40% of all transactions now take place on multiple devices, with smartphones and tablets leading the way. Cross–device shopping is increasingly popular among American consumers who might find an item on one device, research it on another and then buy it on a third. Now, people shop everywhere: while they’re at home, on a train, in a coffee shop or at work. And each time they use different devices. According to Criteo’s State of Mobile Commerce Q3 2015 report, people who shop on multiple devices are 20% more likely to complete a purchase on a mobile device than the average shopper. Having a mobile strategy is essential for user experience and therefore bigger sales. Not having it is like pushing your customers to your competitors. Work on your responsive website, mobile site, mobile app, or a combination. You won’t regret it. Your homepage is the prime location, so use it to present engaging graphics with promotions for your best products. Make them visible for all customers. Remember, if you sell a lot of these during the regular season, you can bet they will disappear quickly from the stock before Christmas. Make sure to restock more of them to avoid losing sales to stock–outs. In the last two months of the year, there is some type of holiday almost every week. Preparing for all of them would be too much, so you want to choose wisely. The most famous holidays I recommend you to participate in are Black Friday, Cyber Monday and of course Christmas. Once you decide what holidays you want to participate in, it’s time to plan your marketing actions. Planning ahead is important to avoid all the stress with doing things last minute (like sending newsletters or creating banners on your website). You can use Google Calendar or even a piece of paper you’ll later pin to the wall in your office. It should contain dates for updating graphics and banners on your website, dates for sending your promotional email campaigns, dates you start and stop advertising each promotion you have during holiday season. You want every employee to be well oriented, to have work organized and don’t mislead the customers. During Holiday season you will have increased traffic on your website and more inquiries from your customers, not only on chat. You should be able to help customers through all communication channels like social media, live chat and email. Have people responsible for handling each of the channel and if you don’t, consider to hire more people before and during holiday season. There’s nothing worse for a customer than waiting a few hours for a reply. It causes bad customer experience and irate customers which likely will lower the number of sales. Not to mention, people are already stressed out during holiday shopping season, it sometimes takes superpowers to handle them right. Treating irate customers like potential loyal customers requires the patience of a saint but it’s a worthwhile strategy. If you surprise customers with an excellent customer service while they’re having a little emotional breakdown, they will appreciate it, and will be more likely to use your service in the future. Don’t forget about your social media. They are as important as your customer service. During holiday season you may expect more people leaving comments, both positive and negative. Make sure you have the correct social media strategy and people responsible for not only monitoring these channels but replying as well. Plan your content on each channel. Refresh your old content that is useful during the holiday season. We for example have posts like: How to appreciate your employees, Customer Service Report. Besides “it’s beginning to look a lot like Christmas” kind of posts, provide people with useful content. If your business is home decor, your blog may blossom and show people how they can decor their houses, provide a guide to light decorations or even show instructions for wrapping gifts. We were talking about your ecommerce store and your website the entire article. But behind every store that is running and every updated website there are people. An owner, a website admin, a person responsible for marketing, a customer rep and many others. During holiday season, employees have more responsibilities, they also deal with more angry customers, so they might be tired, irritated and stressed. Being in this state definitely won’t make your employees more effective and your customers happy. Take care of yourself and your employees. Take breaks, eat well, exercise and enjoy at least a 10 minutes walk outside every day. These little things will help you manage stress, calm down, relax and get ready for handling customer inquiries and resolving their issues. Preparing your website for upcoming season, sweet deals and having enough live chat agents to provide great customer service are crucial. But you can’t forget to take care of yourself because you need to be able to manage all the responsibilities. 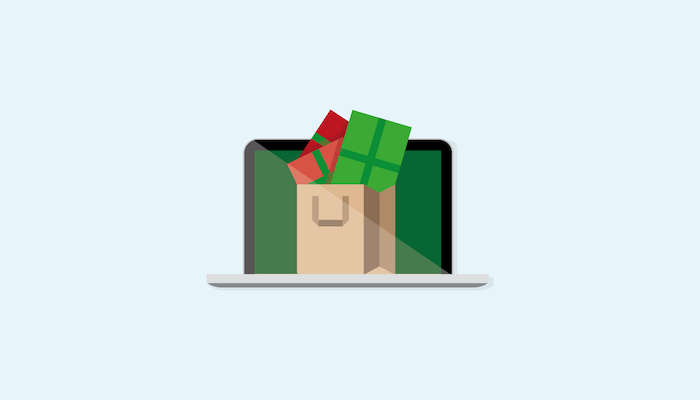 Check out our report: Ecommerce During the Holiday Shopping Season and get ready for the huge number of customers during the Holiday Shopping Season.